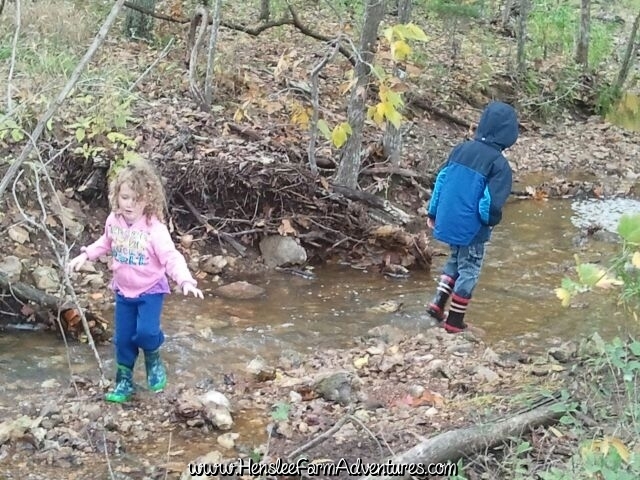 Fall is a time to get back into the routine of school days, extracurricular activities, and all the things that keep us busy. This year, we promised ourselves that it would be different. 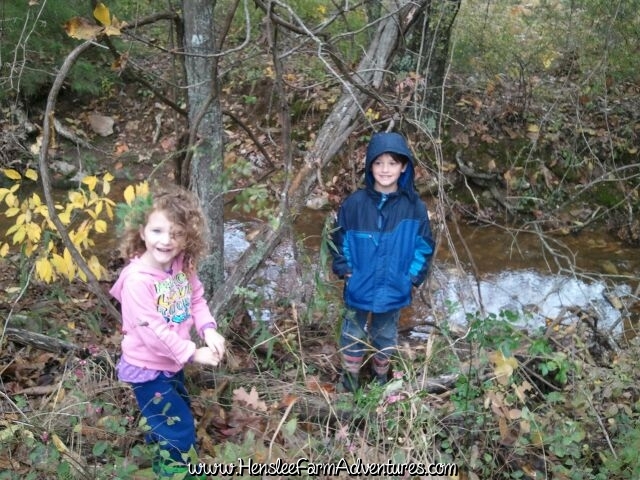 We had planned to say no to extra activities, we would stay home and enjoy our time as a family. But here we are again, our days are filled with work and school, and our evenings with extracurricular activities. With everything that we have going on, we are only home two nights out of the week. Family time is so important to me. I don't want to get so busy with our lives, that we forget to remember the important things. Recently I shared with you a post on my son and how fast he is growing. I didn't realize how fast it was going until I realized that I had already missed the "lasts." Our lives can get so busy, that sometimes we forget what really matters the most. We have to be purposeful in our time that we spend together, or it just doesn't happen. I have seen on Pinterest different ideas for "bucket lists." Some are lists you make of things you want to do before you turn 30 or 40, others are geared towards a season or holiday. For us I thought we could work together to make our own family bucket list to purposefully create things that we can do together. This would allow us to have our family time. Fall is my favorite season, with springtime a close second. 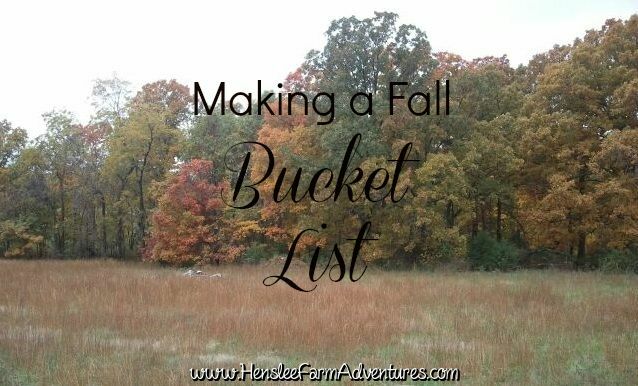 For us, it makes sense to create a list of activities that we can do during the fall season. I thought that I would share that list with you. These are all things that our family loves to do. 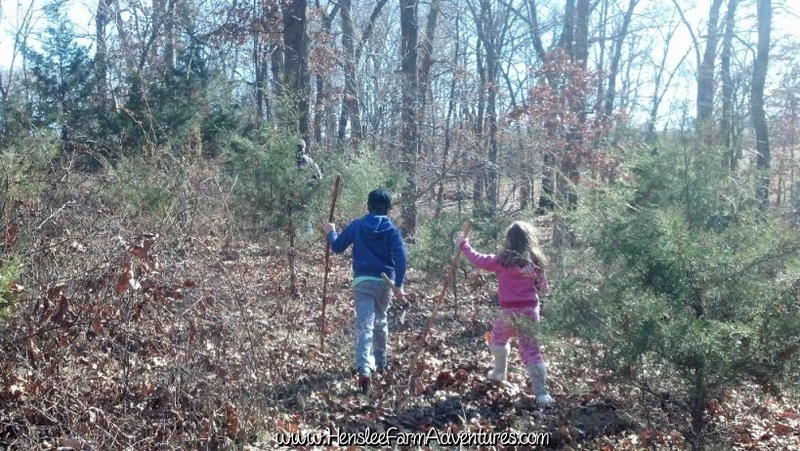 These items were decided based upon what our family wanted to do. This is a list that is personal and meaningful to us. It is not meant to be a list that your family has to follow. Instead use this list as a guide to create your own bucket list. Create this list as a family and incorporate at least one thing from each member. The important thing is to make it unique, make it special, and make it memorable. And of course most importantly make it fun! 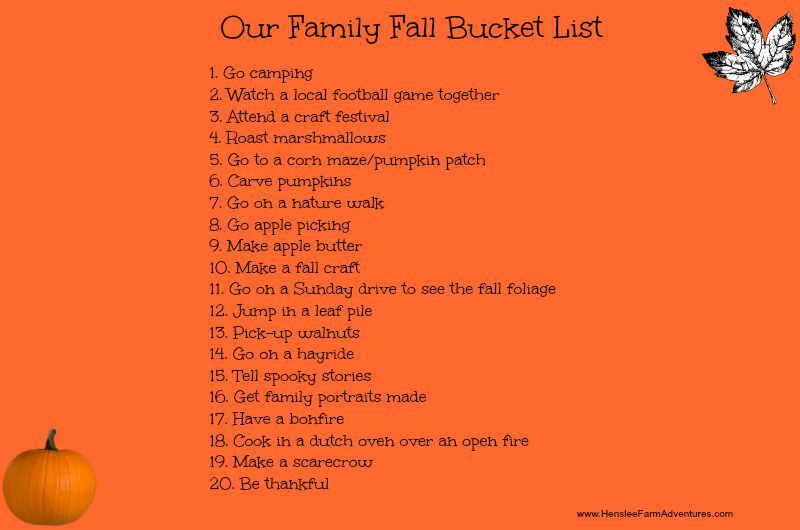 So here is our list of 20 things that we have done or will do this fall. So let me know below, have you made a family bucket list?